Take a deep breath. Breath in and out. Close your eyes. Repeat. This is a simple exercise I do often each day to ground myself. Right now, it’s hard… I am fearful that the lining of my lungs is filling with cancerous fluid (as suspected in a recent scan) and as a result – I can’t take a deep breath. My back hurts terribly. When I went in for an acupuncture treatment I pointed to the spot that hurts. “Oh, the stress highway…” was the immediate comment from my practitioner. And, he went to work. The relief was almost immediate… but then the pain returned. My oncologist listened to my lungs- they are clear. I ran three miles last weekend with ease. I don’t think my lungs are “actually” filling with fluid. I think I’m paranoid. I hate it. Meanwhile, women I love face crushing difficulty and death as they try to live life over cancer. 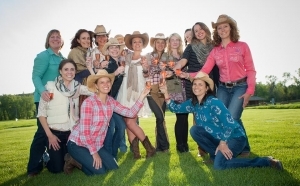 Hi, Cowgirls! I just wanted to let you all know that I have been transferred to hospice care. I am okay. My family and I are ready. I’ve had a pretty quick decline since September and carboplatin and taxotere did not work at all. My body is also not tolerating treatment. I’ve had a good life and it is time. I love you all! Yeehaw and Namaste! 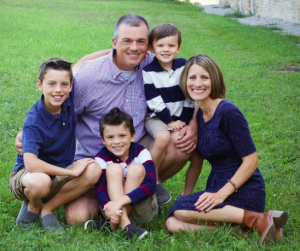 Erin, whose active lifestyle and deep faith radiated hope and kindness was also diagnosed with MBC. After our retreat, she and her husband took off in a jeep on an adventure together before returning home to her family. I remember thinking she had her priorities straight. She had limitless energy and compassion for others. Today, she has endured endless chemos, scans, radiation and fatigue as her cancer torments her strong body. Through it she continues to exercise, produce youth theater and share her steadfast faith with others. It crushes me to watch her go through all this. I find constant inspiration from her joy, faith and determination. Though not with us in Montana I am also closely following the health of another Erin – who, like me, calls Michigan home. She can’t take a deep breath right now either. But, not because she is paranoid like me…. She found out last week that her cancer has conclusively spread to her lungs (in addition to her liver and bones). They drained a liter of fluid while in the hospital this past week, which came back almost immediately. After days in the hospital she is finally home with a catheter in place to maintain drainage from her lungs, breathing with the help of the oxygen tank she is now hooked up to. She is 37 years old. She has three sons under 9 years old. So, when my caring friends lean in for a hug and ask how I am doing… I say “I’m doing ok.” Because, my goodness – I am still riding the grateful train after my Christmas miracle. Because I’m not in a hospital or hooked up to oxygen or fatigued to the point of exhaustion from chemo. I am living. But, my heart is breaking for my friends. And, the angst in my heart is more than I can bare at times. We do all the regular things – soccer & basketball games, laundry, new year’s resolutions to eat better, Christmas gift returns. 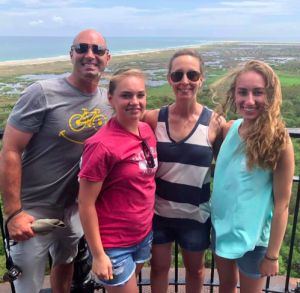 We laugh and make spring break plans and monitor our kids screen time (in vain). Through it all – I feel like a wear an invisible cloak. The MBC cloak. Sometimes it is heavy and burdensome. Other times – it is lighter. Sometimes our whole family is under it like a grungy tarp that sections us off from the rest of the world. And, at times I bundle it up and stuff it in my backpack, taking off on a glorious adventure. Today, it is heavy and wet with tears. I am destroyed by the endless list of friends I have lost to MBC with no apparent end in sight. I am worried for my friends who aren’t doing well. As I sit here writing, sipping my green tea on a rainy, dreary day I feel the pain in my back lessoning a little. I had to get this out. I had to honor these beautiful friends and name the anger, fear, sadness in my heart. And, I have to counter the worries – this awful disease, the government shutdown, the homeless man I drove by on my way to this cozy coffee shop. I have to turn heartbreak into hope. So, I’ll pack up my computer and head over to the Hope Scarves studio where volunteers will greet me with hugs and cheerful good mornings and we’ll send hundreds of scarves and stories to people facing cancer. For a moment these scarf recipients will feel lifted out of their sadness. We’ll help carry their cloak. And, we will raise money for metastatic breast cancer RESEARCH. While only a drop in a huge ocean needed to accelerate treatments to extend lives and save lives, I can’t sit by and watch friends suffer or die and not do SOMETHING. My MBC cloak is made of all the stories of those who have faced cancer before me. It is made of my fears and anxiety. My hopes and dreams. It is dark and dirty, bright and colorful – all at the same time. There are words woven through the fabric and the words are my story. Thank you for helping lighten the burden of this cloak by reading these words today. 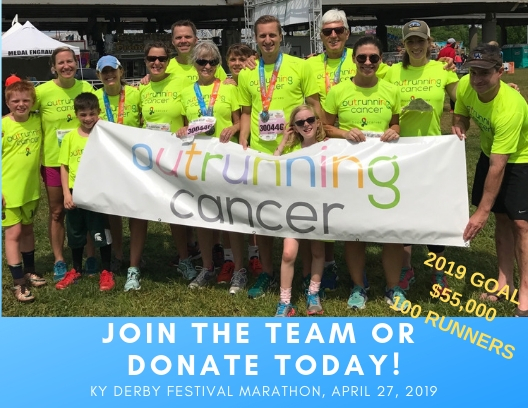 Coming soon… join the Outrunning Cancer team to run the KY Derby Festival marathon. It is empowering to so many that you can be so incredibly strong, positive, supportive and so vulnerable all at the same time. Thank you for Making a difference. thank you Deb. I read recently that vulnerability is a sign of courage. I couldn’t agree more. I see you, being real in all of the brutality & beauty of this life. I bear witness to this tenuous balancing you do and I hold space & offer warm loving light to your open bruised heart. It’s all worth it, but it’s also just tough as hell, isn’t it?! thank you Kristina! I so appreciate your perspective and encouragement. Come share some of that thoughtful light at the Hope Scarves studio – we’d love to have you roll up your sleeves and help us spread some hope! We love you Lara! You carry a heavy cloak of memories, treatments, care of family & friends. But remember how this all started. (WITH HOPE). 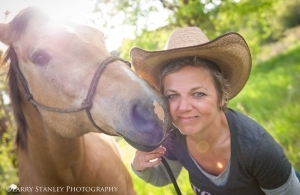 Lara, Every time I read your blog, I am amazed by you even more! Not only are you dealing with your own MBC, but you are feeling the weight of everyone that you are helping and come close to with this disease. You should really write a book, not just because you have so much knowledge, but your words…oh my goodness, they are so incredible! I am imagining your cloak to be every scarf you have ever sent, sewn together in a beautiful, giant, patchwork, light-as air, super-hero cloak. Love to you, your family, and your MBC family! thanks for your kind words! I have been toying around with the idea of writing a book. It’s daunting, but I would LOVE to do it. Thanks for your continued connection and support. Means a lot! Lara, gosh as I read your blog tears streamed down my face feeling all the angst you feel for your friends with MBC, and you too!!! I said silent prayers for you & all you mentioned, and marveled at your honesty. When it gets close to my 4 or 6 mo checks, my brain goes back “to my initial diagnosis day”, & fear TRIES to sink in, but I like you, try to think of other friends who going through tougher cancer than I. I’m riding a 2yr 6month cancer free high……..but thinking of you & your MBC, I pray to God to cover you with healing now.